Not since Kotter's return has a character been welcomed back in the same way that reincarnated assassins will be in Welcome Back from BOOM! Studios. The title pairs Christopher Sebela with Jonathan Brandon Sawyer in the new comic set to debut in August. 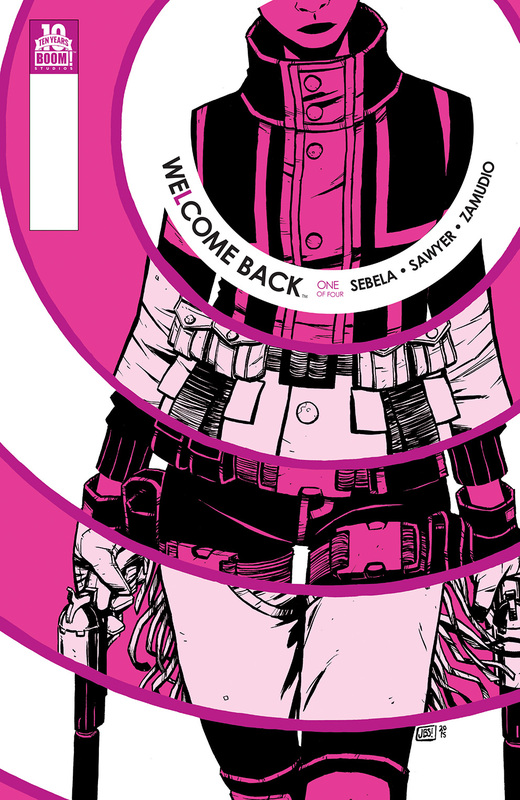 Welcome Back #1 (of 4) arrives in comic shops on August 19th with a main cover by Sawyer for the price of $3.99 under Diamond order code JUN151070. 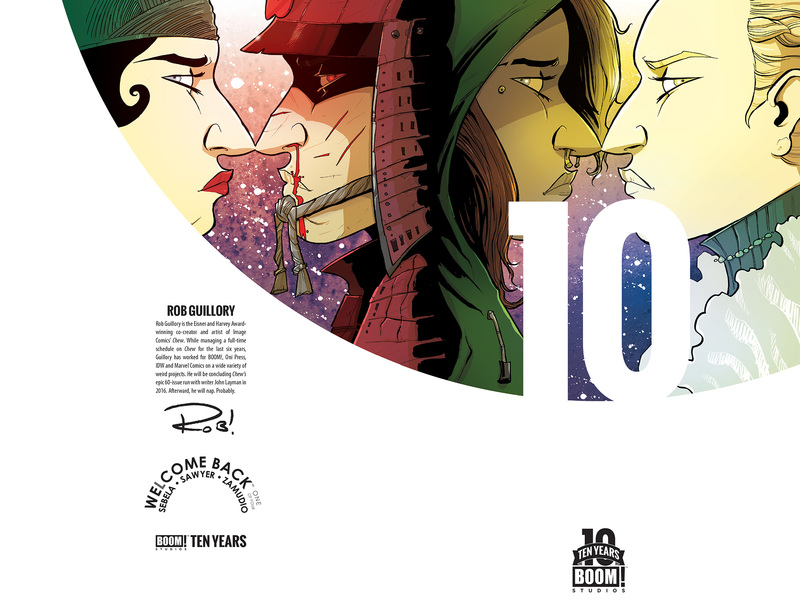 Also available in a limited quality is a Jackpot Variant cover (1 in 100) by James Harvey, a 10 Years incentive cover by Rob Guillory and a retailer incentive cover by Elsa Charretier. The Final Order Cutoff deadline for retailers is July 27th. July 23, 2015 (Los Angeles, Calif.) - Award-winning publisher BOOM! 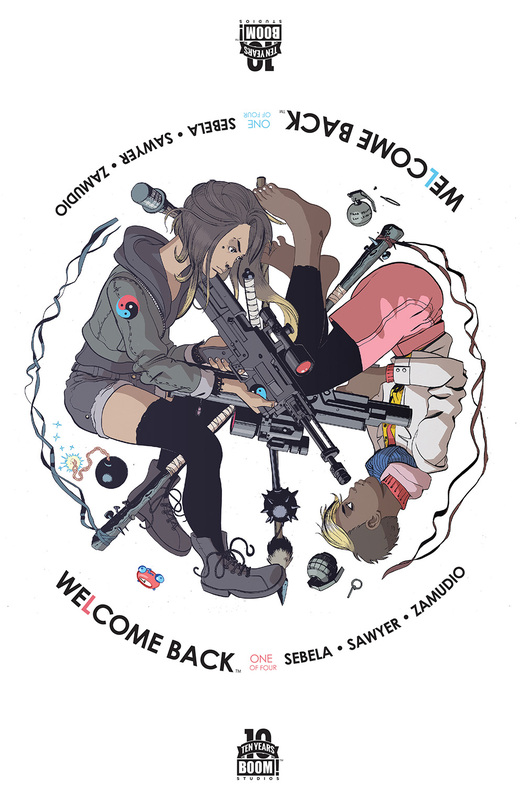 Studios is excited to announce their next project with writer Christopher Sebela (Dead Letters, Escape from New York) as he teams with artist Jonathan Brandon Sawyer (Critical Hit) on the suspense-filled reincarnation saga, Welcome Back. The series debuts in comic shops in August. Welcome Back #1 (of 4) arrives in comic shops on August 19th with a main cover by series artist Jonathan Brandon Sawyer for the price of $3.99 under Diamond order code JUN151070. 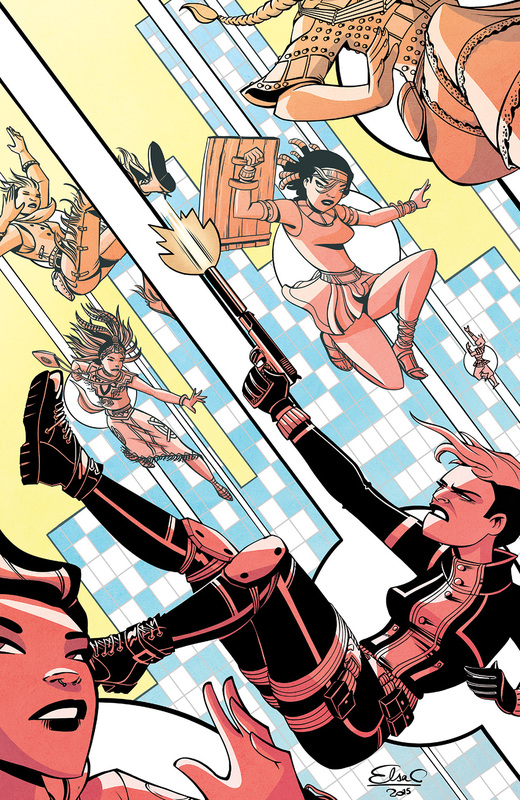 Also available in a limited quality is a Jackpot Variant cover (1 in 100) by James Harvey (We Are Robin), a 10 Years incentive cover by Rob Guillory (Chew), and a retailer incentive cover by Elsa Charretier (The Infinite Loop). The Final Order Cutoff deadline for retailers is July 27th. Not sure where to find your nearest comic retailer? Use comicshoplocator.com or findacomicshop.com to find one! It’s also available for order directly from boom-studios.com.